Becoming an instant band is the grand prize in this amazing contest — Instaband! 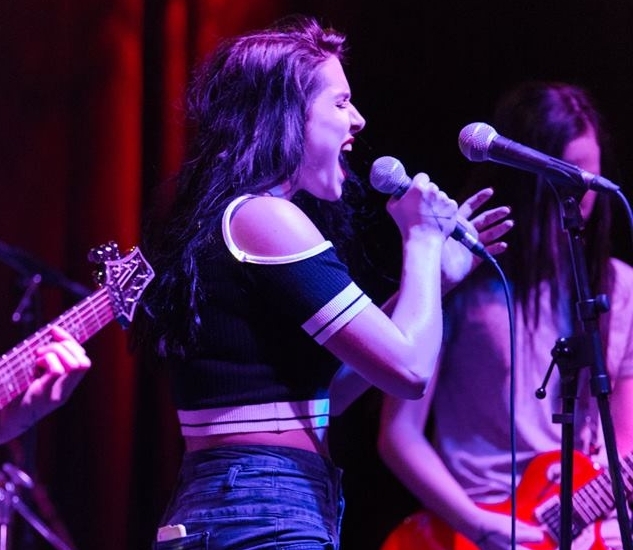 The best high school bands in Ohio will compete to win a recording contract complete with a studio EP, music video, and concert booking support. Students enrolled in the revolutionary music career program at GROOVE U are producing this one-of-a-kind contest through two rounds. From the pool of submissions, judges will select 20 of Ohio's top bands to advance to the Semifinals at GROOVE U. Semifinalists will record two original songs in a live studio environment. Audio and video of the semifinal performances will be recorded and uploaded to YouTube for industry judge and fan voting. Semifinal and final winners are determined by a combination of 60% experienced music industry judges and 40% audience voting. During the semifinals, fan-vote will be determined by the amount of YouTube video likes received in a 48-hour period. The top 10 bands from the semifinal rounds will advance to the Finals and perform in front of a live audience at Skully's Music Diner on Friday February 22, 2019. During the finals round, fan-vote will be determined by an in-person fan-vote. Proceeds from the ticket sales will benefit WCBE 90.5 FM and the GROOVE U Scholarship fund. Instaband is open to all Ohio high school artists, just follow the rules. All types of performers are accepted — solo artists, duos, trios, and of course bands. However, performers have to perform with live instrumentation. I.e., no karaoke. Rap/Hip-Hop and EDM can use prerecorded beats in their live performance, provided the beats are original compositions. All genres are accepted — pop, rock ‘n roll, rap, metal, hip-hop, singer/songwriter, country, trance/electronica, Christian/gospel, etc. Create an .mp3, link to existing content (E.g., Sonicbids, Bandcamp, Soundcloud), or link to a video (E.g., YouTube, Vimeo) for your two song submission. One of your submissions can be a cover but keep in mind only original music will be accepted for the Semifinals and Finals rounds. Register using the online form and submit your material for consideration. Make sure you don’t miss the deadline of Friday January 4, 2019 at 11:59 PM! If you are selected as a semifinalist, you will be notified via email. Before you show-up to perform consider how your gear will “plug-and-play” with the backline. Your submission is not judged on quality, but the better you can make your recording the more likely it is the judges will “get it”. If your submission includes one cover, keep it interesting by bringing your own unique style to it. Practice, practice, practice! Great performances are so well-rehearsed they are part of the performer’s subconscious. The more you practice, the better your performance will be. Keep in mind that if you are selected, you will only have 10 minutes to perform, so pick your best songs. Also keep in mind that you may only perform original songs if you are selected. Get your friends to come to your live show. Because 40% of the voting depends on the audience, the more fans you bring to the finals the better your chances of winning. 2020 registration will open bands in October 2019! Time: Individually Scheduled with the Artists. Thanks to the generous support of music fans here in Ohio, GROOVE U, through the Instaband high school battle of the bands competitions, has donated more than $10,000 to nonprofits that offer music-related youth programs. WCBE 90.5 FM is central Ohio's original NPR station offering the most creative, innovative independent and network programming across the spectrum of journalism, music, fiction, culture, and art. WCBE is committed to partnering with listeners and local organizations to better our community's cultural and educational landscape and improve humanity through our airwaves! A portion of the proceeds also benefit the GROOVE U Scholarship Fund. GROOVE U music career program awards scholarships to current students for academic excellence and entrepreneurial accomplishments. Students starting their own business can apply for a scholarship to file their business with the Ohio Secretary of State.